For decades, DC has been the perfect starting place for anyone interested in graphic novels, with genre-defining books such as Watchmen, Batman: The Killing Joke, V for Vendetta, DC Super Hero Girls and Mister Miracle.<br />Now, we've created the perfect resource for any reader with the DC Essential Graphic Novels 2019 catalog. 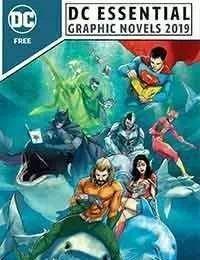 The 25 best graphic novels to begin with are here, alongside groups of great starting-point books for your favorite characters, such as Wonder Woman, Batman, Superman, the Justice League and more!<br />From DC Books for Young Readers to DC Black Label, MAD, DC Vertigo and Jinxworld, DC has the most diverse library of graphic novels in all of comics. The DC Essential Graphic Novels 2019 catalog makes it easy to find the perfect story for every reader.